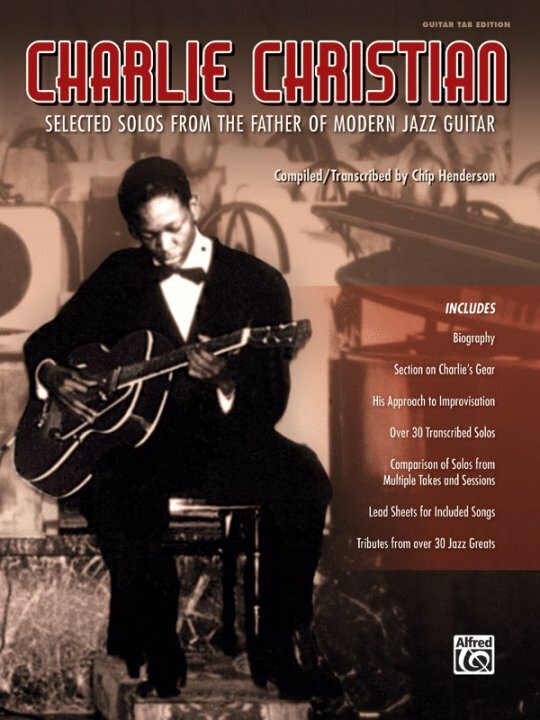 For many, the story of jazz guitar begins with Charlie Christian. In 1939, at 23 years old, Charlie joined the Bennie Goodman Sextet, already one of the most famous jazz bands in the world. Over the next two years of his all-too-brief life Charlie redefined the role of jazz guitar, expanding it from its role in the rhythm section to that of lead instrument on par with the great horn players. Simultaneously, his late-night jam sessions alongside Thelonious Monk, Dizzy Gillespie, Charlie Parker, and Kenny Clarke at Harlem's renowned Minton's jazz club led to a revolutionary new jazz called Bebop. To best understand Charlie Christian's approach to improvising, for each song this book provides multiple examples of his soloing. Comparing and contrasting these different solos---taken from alternate takes, various recording sessions, and live radio broadcasts---will give you a better sense of not only Charlie's core concepts, but also how he developed a variety of ideas out of them. Each song is presented with performance notes that include information about the recordings (date, place, personnel, etc. ), a lead sheet for the composition, and transcriptions of the live and studio performances placed in chronological order---in both standard notation and tablature. In addition, there is a full analysis of his improvisation style to give you ideas on what to look out for. We've also included a bio, a discussion of his gear, and tributes from over 30 jazz greats. As Long as I Live * Benny's Bugle * Boy Meets Goy (Grand Slam) * Flying Home * Gone with "What" Wind * Good Enough to Keep (Air Mail Special) * Honeysuckle Rose * I've Found a New Baby * Rose Room * The Sheik of Araby.